The original recipe is from The 100 Best Vegan Baking Recipes by Kris Holechek. These moist cookies may seem more suited to autumn, but once you taste them you won't care what season it is. 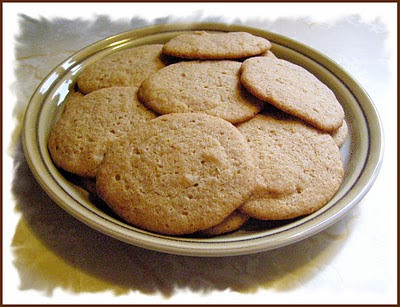 Cinnamon, ginger, and seasoned apple butter give these cookies their savory aroma and taste. If you enjoy chocolate covered peppermint cups (candy) this dessert is for you. 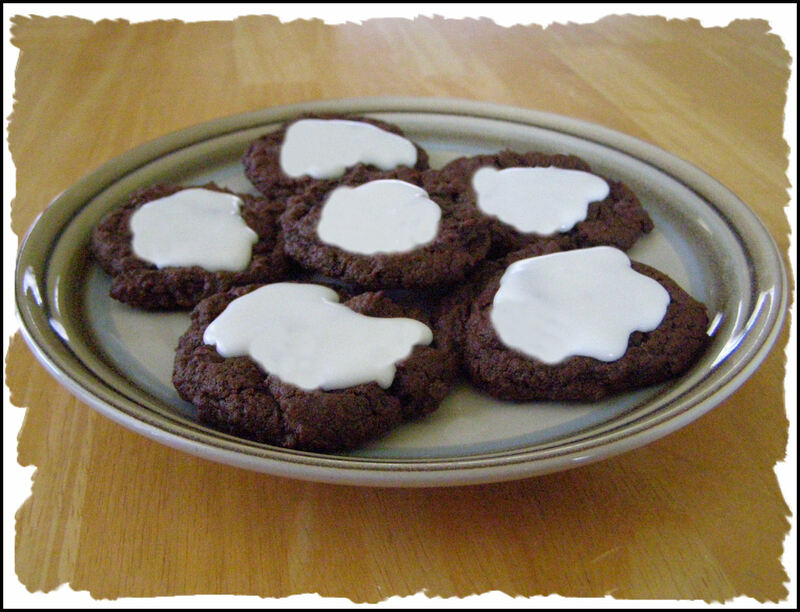 The cookie and icing recipes are from The 100 Best Vegan Baking Recipes by Kris Holechek. The cookies are moist and chewy. The icing is cool and minty. What a great combination! 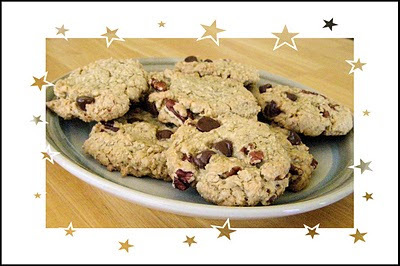 This recipe comes from Vegan Cookies Invade Your Cookie Jar by Isa Chandra Moskowitz and Terry Hope Romero. After working hard in the yard and house this morning I rounded up the ingredients and made these Cowboy Cookies. Don't know why they are called Cowboy Cookies, but they taste 'durn' good! They're made with oats, coconut (sulfur dioxide free, of course! ), semisweet chocolate chips, and pecans. A touch of ground flax seeds add texture to the crumbly dough. 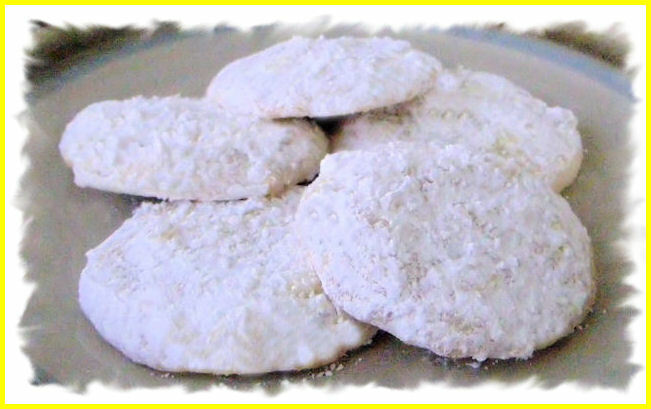 A delicious cookie with substance!